I found a to-do list written by seven-year-old sitting on our kitchen counter. You need to read it. 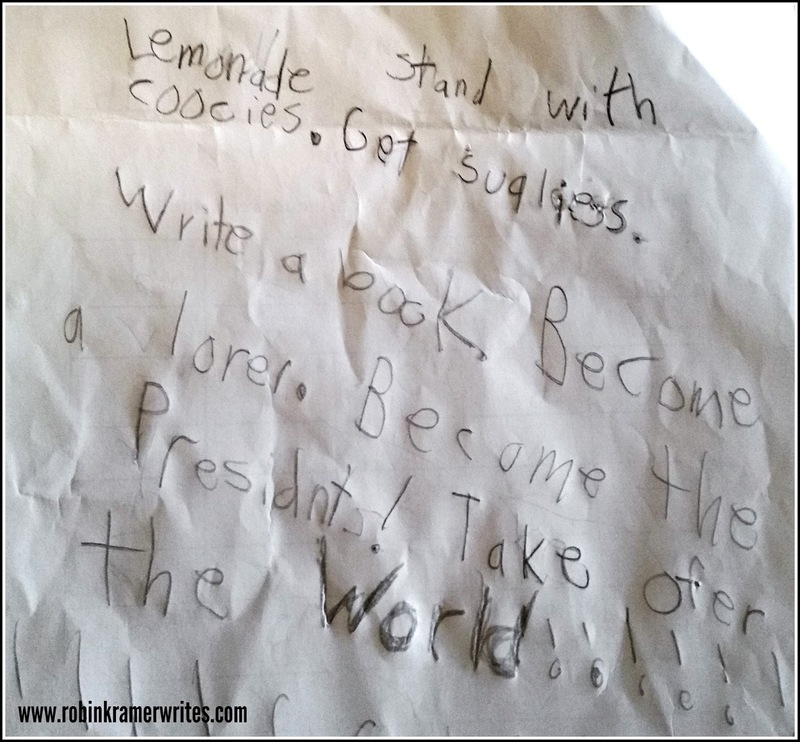 Seriously, take it all in, every glorious and spelling-mistake-riddled line, starting with innocent goal of opening a lemonade stand with cookies after the highly practical concession of getting "supplies." It's official. From this day forward, I will never end another to-do list with anything less than "take over the world." LOL this IS the best to-do list ever. I agree, ever to-do list should end with "Take over the world"!